January is well underway and I have spent the past couple of weeks thinking about what it is I want to achieve in this new year. Every January seems to come with a blank canvas that can be both exciting and completely intimidating at the same time, but it’s a great time to evaluate the past and look towards the future. Like so many other creative people I have come to enjoy the simplicity of deciding on a single focus word to help guide and inspire all areas of my life. What I have come to discover after using this technique for a number of years is that it is the words that have a tendency to ‘find’ me that have the biggest impact on my life – they are the ones that stay with me after the others have long been forgotten, and they are the ones that have the greatest impact on my life. I have learnt to be mindful about this process and to be open to the possibilities that present themselves, because I believe there is real change that comes when you learn how to meditate on, and apply the word into your life. This year my focus word is STRETCH. I was reading a magazine article when this word leaped off the page and I knew it would be my 2017 word. At first I had no idea how this word might begin to manifest itself in my life, but I decided to let the idea of it percolate in my mind for a few days and see if I thought we could get along ;). While I was contemplating the breadth and depth of its meaning, I was also thinking about the sort of things I felt I would like to accomplish this year – what exactly were my goals, and how was I going to achieve them? Could this new word be a guidepost to help me choose between X and Y, and light my path for the next 12 months? I quickly began to realise that I could apply this idea of ‘stretching’ in all areas of my life, but the ones that immediately stood out to me were – my health, my finances and my creativity. 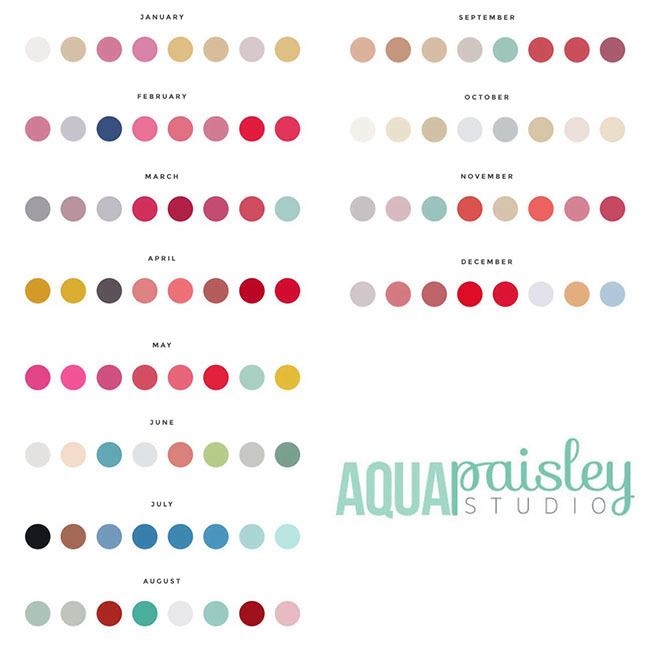 Where do I want to be creatively in 12 months time? What type of creative life do I want to lead? How can I grow as a creative person? Am I creating for myself or for an audience? How does social media influence and impact my creativity? How do I want to share my work? How much do I want to share? How can I connect with other creative people? How does my environment influence my work? How can I prioritise my to-do list and stop wasting time? What habits are hurting me? What habits are helping me? As creative people we often find ourselves trapped in the every day busyness of making, and at times forget that there is so much more to what we do than the end result. Think and dream big, and maintain a sense of curiosity about your self and your creative process. Look at the world around you, let your mind wander and ask yourself the big questions – whether they be who, what , where, how, why or when! Organising a sewing bee that had a snowball effect on the quilting community was undoubtedly me thinking big! I had an idea and I shared it, and it became one of my favourite creative experiences to date :). This is where I began to work with the idea of my word and tried to be specific about how I wanted my year to develop. I am a big advocate for setting goals no matter what your circumstances, or interests are in life. They become your own personal motivation manifesto. Dreams are great but they need action in order to be realised, and by setting clear goals you are creating something to work towards. There are thousands of blog posts that talk about the best way to set goals and I doubt very much that I have anything to add on the subject that you don’t already know, but I will say this – don’t get disheartened if, or should I say when you have a setback. Life will inevitably interfere with you best plans, but remembering your focus for the year should be able to get you back on track. Learn from your experience and realise that maybe what appears to be a hiccup is in fact part of a greater plan to help move your goals forward. Obstacles encourage us to think and reevaluate and often cause us to create work of greater value than we were originally set to create. Consider these events part of the process. Accept them. Move on. This is something I wish I was more mindful of last year when I felt as though life had thrown me a curve ball I was unprepared for! At the end of 2016 I realised that I had 14 works in progress and that was simply too many! Although my mind is always racing with new ideas and quilts I want to make, I knew I would be happier reducing that number. 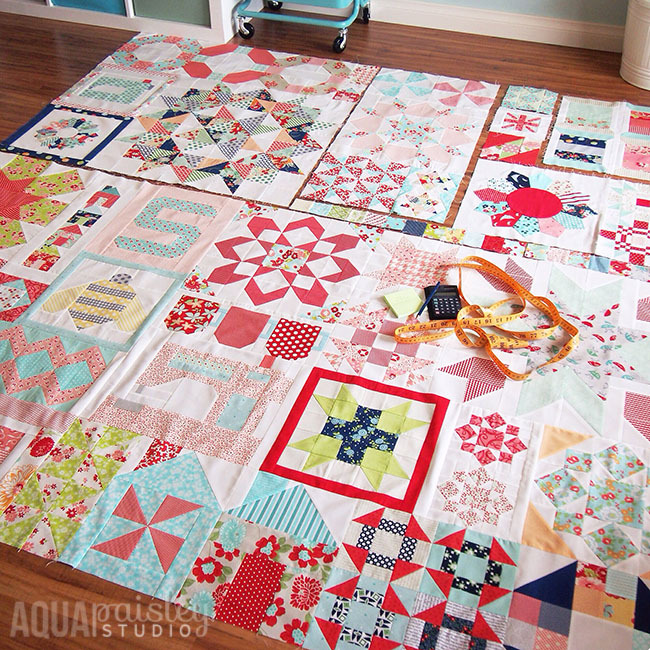 On top of those projects is also another 8 pieced tops that need to be quilted. The moment I understood that even if I worked on one project a month for this entire year I would not clear my WIP list I knew I had to make a conscious effort to finish some at the very least. As much as I would like to reduce my WIPs at any one time down to 6, my aim will be for a WIP finish every second month. One of my WIPs that deserves its time in the spotlight – why didn’t I finish this?? 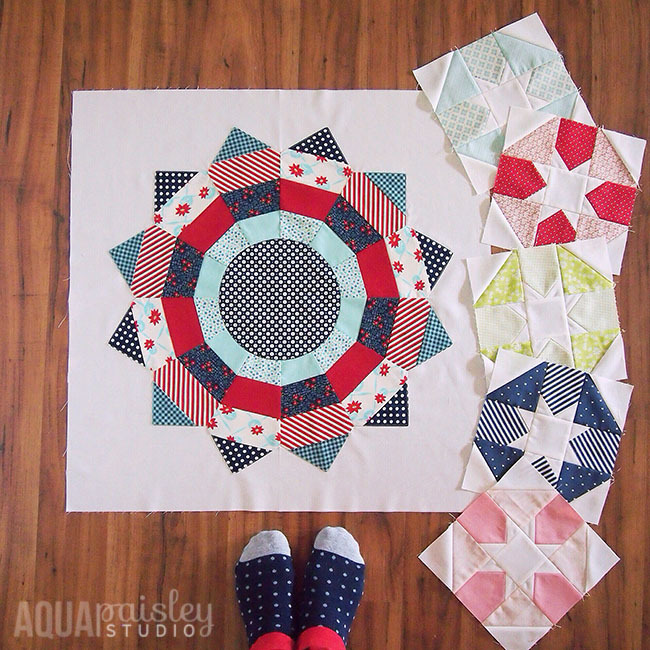 2 – Continue pattern writing, and become a published quilt maker. Pattern writing supports my hobby, and it is something I love to do. It felt like a natural progression for me after only a short time quilting, but it hasn’t been an easy ride. Every part of my pattern is made with my own hands, mind and energy. 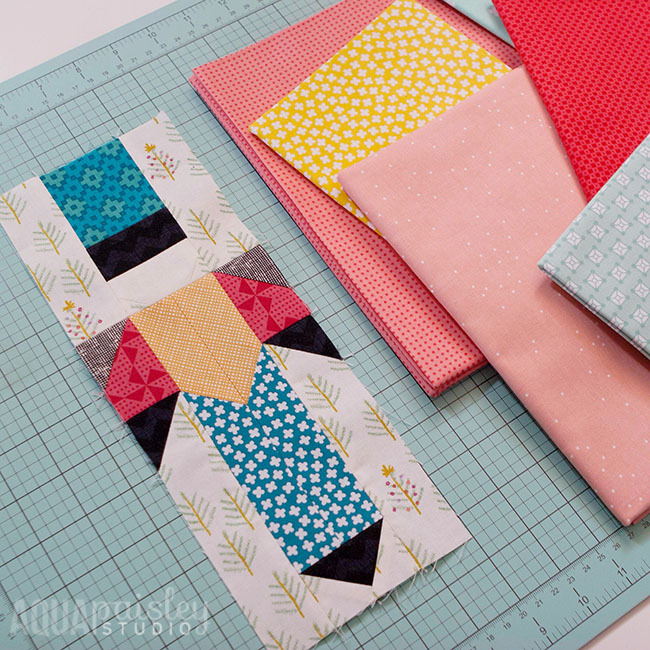 From the cover art to the technical editing – I do it all, and I check, check and check it again before I even consider sharing a pattern with pattern testers. Producing a quality pattern is important to me, and while my patterns are constantly evolving as I fine tune the overall feel of them, I consider them a reflection of who I want to be as a maker – and all that takes time. I plan to be more deliberate about the way I use my time. When I released my first patterns I was surprised how seemingly overnight people I considered online friends stopped engaging with me. This made me question if I was making this leap too soon – I was worried that on the surface it didn’t appear as though I had the requisite experience for taking on such a task. This fear has made me stop in my tracks too often, and it is time to set it aside! This year my goal is to release 4 original patterns, and to gather up the courage to submit some of my work to magazine editors. Wish me luck!! 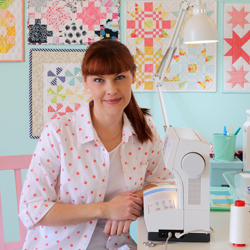 I officially released 2 patterns in 2016 – Cherry Tree Lane and South Bank Spin . I released one at the beginning of the year and one towards the end – somewhere in the middle I made 3 others that I didn’t release as patterns, but I still might! I am not sure where this goal might take me yet but I think it is time to take on a new challenge or two and step outside my self-imposed ‘can-do’ box. When it comes to quilting I would like to explore colour a little more this year and try some more complex FMQ techniques, but I’m also keen to explore surface pattern design and turning some of my many hand drawn doodles into patterns using Illustrator. I am okay with the idea that this particular goal may not be measurable – I think that this is the idea of STRETCH at its most obvious. When it comes to blogging I feel as though I am still testing the waters. I have lots of ideas, but implementing them up until now has been a little hit or miss. My goal is to blog at the very least once a month. But not just blogging for blogging’s sake – I want to share content that has value, motivates and inspires. Of course my initial reaction when I think about content is that everything has already been ‘done’ before, but I am going to remind myself that that’s okay because it hasn’t been done by me ;). 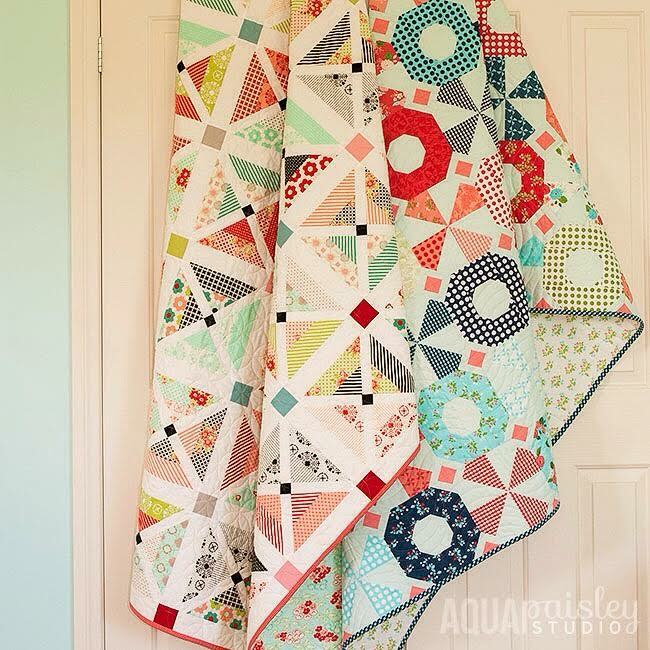 I do love sharing my ideas on creativity – it’s definitely an area I think quilt blogs overlook, and I would also like to create some more tutorials throughout the year. Maybe in the future this little guy will get his own tutorial! I shared my original idea behind taking a creative sabbatical in this post. Since then I have taken my first intentional and scheduled sabbatical, and more than ever I am a convert to the practice. For seven days I went without any social media influence, and I let myself be guided to do whatever felt right on each day. It was not as if I was sitting on a beach sipping lemonade, (although I could have if that is what I wanted to do); I was hanging out with my family, cleaning closets, reading, occasionally sewing when the mood struck, working on new ideas for creative projects and yes, I did sit under the shade of a tree contemplating much of what I have shared here. The week was restorative and energising and I want to schedule that into my life. Creative sabbaticals are about relaxing and reconnecting with your creativity; not about abandoning it! It has been said that we often overestimate what we can achieve in any given day and underestimate what we can achieve in a year! Certainly a statement worth contemplating!! 2017 is waiting for each of us to grow to new creative heights and to have creative experiences tailored to our personalities. The best way for that to happen is to plan now for what awaits you in the coming months. I hope by sharing my goal setting thought process with you that you will be motivated to set some creative goals in your own life, and if you are way ahead of me then I would love to hear about yours :). Setting goals and working towards them is not always easy. Goals create challenges that ultimately help you discover things about yourself that you never really knew. They’re what make you go beyond the norm and push your creative experience to the next level, and that creates a cycle of inspiration and motivation that we each can benefit from! What’s your biggest goal or your focus word for this year? « Goodbye 2016, Hello 2017! What an enjoyabe read – so much to think about and so many tips for moving forward. Thank you. I wish you much fun and success in 2017. So Lisa, I am guessing binding is not your first love ;). Ha!! That’s okay it’s certainly not mine either!! I’m hoping to explore the elements of modern quilts and incorporate them into my work – while still keeping my style “me”. I’m planning on using some fabric from designers that I haven’t worked with before. Feels like a good challenge! S t r e t c h What a fantastic, positive word to choose, Samantha! I have terrible moments of creative self-doubt, and I really struggle with setting goals: I feel like I’m setting myself up to fail (and I’ve always had a terrible aim!). But I am capable of stretching myself, reaching out, expanding my knowledge and growing creatively. 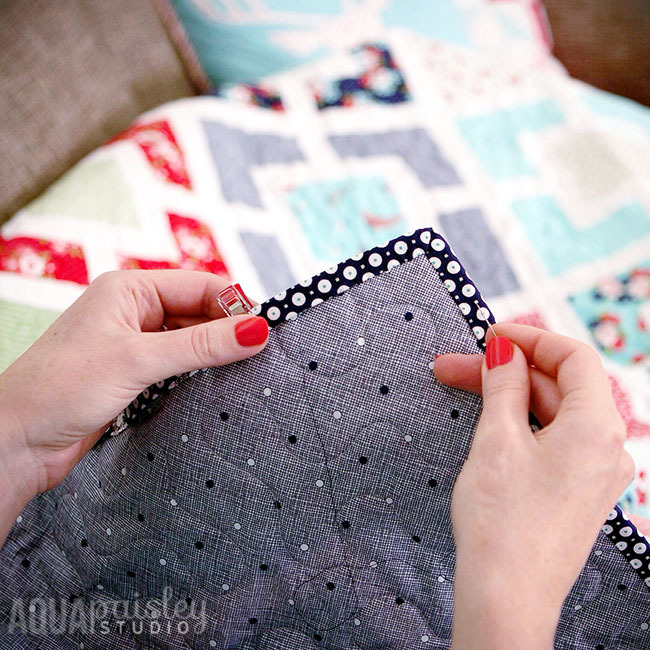 This year I’m am literally going to reach out and connect with as many quilters as I can, I joined my local guild a couple of months ago and I’ve decided to host a monthly sewing afternoon at my home. My word of the year is Finish and goes along with my biggest goal of the year. To finish my WIPs & UFOs. I have so many other projects I want to work on but my mind is weighed down with those I need to finish. So this year I’m taking the time needed to focus on just finishing what I’ve already started. Excellent post my friend. I completely understand how you feel Karen! Being weighed down by something we love isn’t how it should be – good luck working your way through your UFOs this year – I am sure you will finish the year strong, and I hope I can say the same :). I’m sure we will both finish strong. Good luck and Happy Sewing! !